Crypto-currencies have faced a lot of criticism since Bitcoin first came on the scene 10 years ago. But for one group of people, they're proving very useful. A cup of coffee now costs 2,800 bolivars (21p; 28 cents), up from 0.75 bolivars 12 months ago - an increase of 373,233%, according to Bloomberg data. And that's after a 2018 devaluation that knocked five zeros off the currency. And given how volatile Bitcoin is - its value has plunged from nearly £15,000 in 2017 to less than £3,000 now - it's an indication of just how desperate people have become. "I first discovered crypto in 2017 when I lost my job in Venezuela," the CCTV technician says. "Even if I had my job, it would've been useless anyway, because the minimum wage was $4 a month." Cryptos offered him "total control" of his money "without banks or third parties", he says. "With Bitcoin and other crypto-currencies, I can send money home faster and without obstacles." 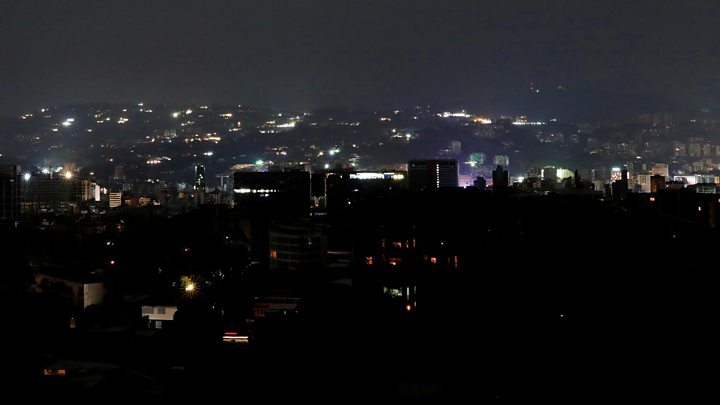 Media captionVenezuela blackout crisis: "It's like living in the apocalypse"
Bitcoin was designed to be a global, digital currency that governments and banks couldn't interfere with. Like many other crypto-currencies it works by recording all transactions permanently on a distributed ledger called the blockchain. Critics say Bitcoin and other cryptos - there are more than 1,600 globally - are unstable, use too much energy, and are used by money launderers or those wanting to buy illicit goods on the web. Adoption has rocketed, with trading volumes on Localbitcoins.com - a person-to-person Bitcoin trading platform - rivalling those of the US. "Many Venezuelans are using Bitcoin to convert their bolivars, which are being permanently devalued by hyperinflation, to keep something of value," says economist Asdrubal Oliveros of Caracas-based consultancy Econanalitica. "It is practically a vehicle for buying foreign currency and to conserve value, as it is relatively easy and you can keep small amounts which do not involve large investments." "Receiving payments in bolivars does not make much sense," he says. Matt Aaron, who manages the Venezuela arm of Bitcoin.com, the crypto-currency news and trading platform, says: "We pay our team members in Caracas in Bitcoin Cash. Transactions are instant and cost less than a cent to make." "It has given me access to the financial world outside Venezuela," he says. "We are not free to exchange our currency for US dollars or any other currency. We don't have access to the banking services of the world, so crypto allows you to bypass those barriers." "It is a pretty simple, straightforward process," he says. But Venezuela's government is intervening, recently launching a remittance service that caps the amount of crypto-currency someone inside the country can receive. It has started earning commissions from the transactions. "With the ATM, Venezuelans can receive bitcoin from anywhere in the world and cash out in Colombian pesos right away," says Matias Goldenhörn from Athena, the company that installed the machine. 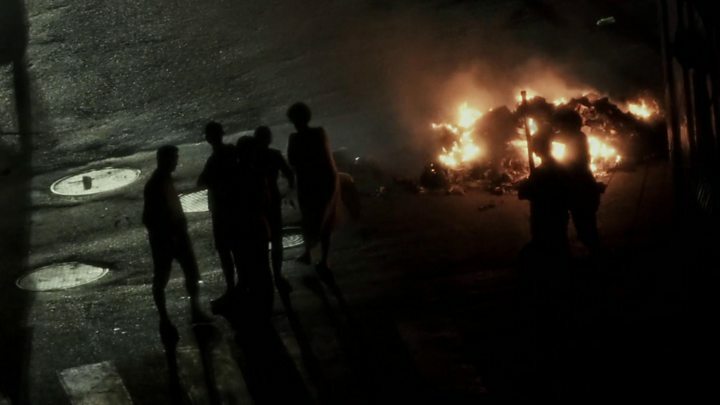 "A Venezuelan family of four, getting on a bus in Cucuta to emigrate to Argentina, was carrying all their life savings in cash on their 14-day bus journey," he recalls. "They just exchanged all the money into bitcoin and, once they arrived at their final destination, sold the crypto for the local currency, hence not risking travelling with the money on them. "It made life a lot easier for them."